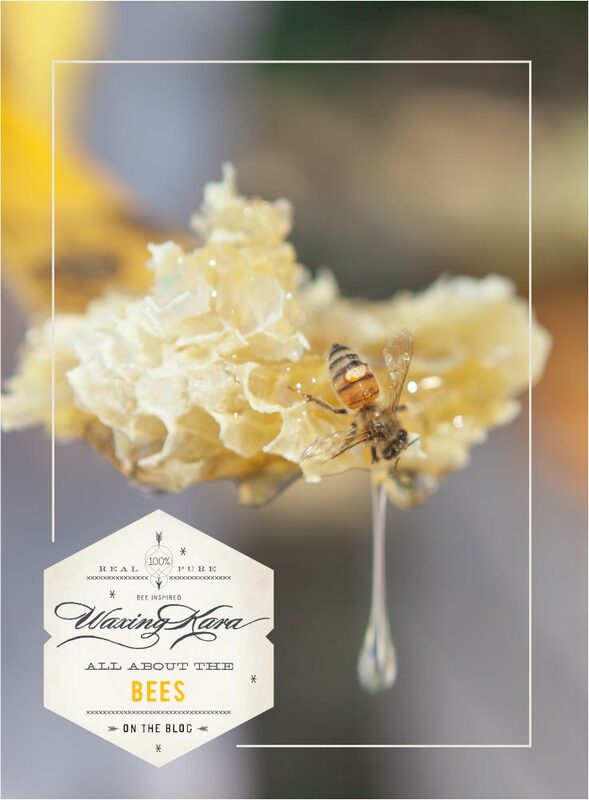 Working with bees in our apiary has taught us many bee facts over the years. 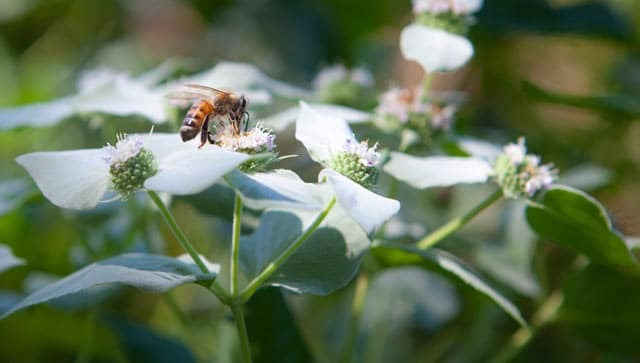 You probably already know how important bees are to the ecosystem, but did you know that one in three bites of our food relies on bees for pollination? Or that bee-by-products have potential medical uses? We didn’t either when we first started keeping our bees! Bees play a vital role in our ecosystem. Honey bees, the only insect that produces food for humans, have been around millions of years. They play a vital role in the ecosystem and pollinate nearly a quarter of all the foods that humans consume and 80 percent of the world’s crops. Their pollination services are worth as much as $15 billion a year in the United States. 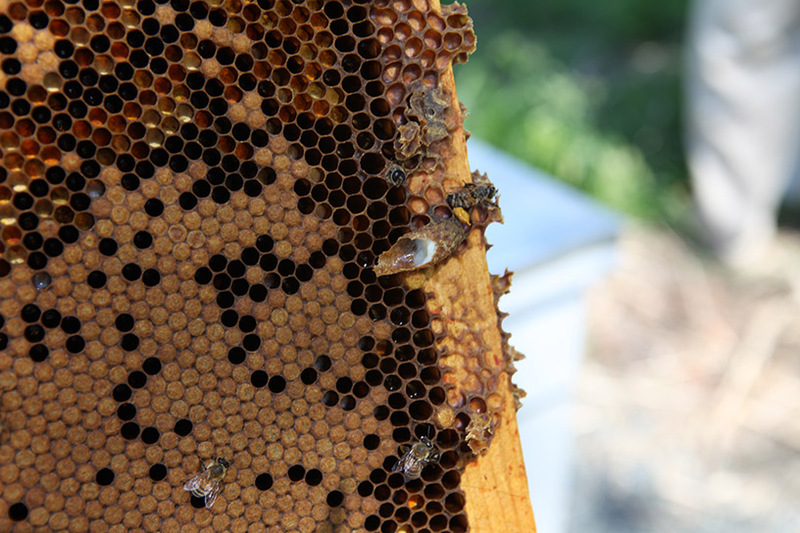 In addition to producing honey, bees also produce wax, propolis, and royal jelly in their hives. All of these bee-by-products are used by people in various cosmetic, personal care, and chemical applications. From the beeswax in your Lip Balm to the royal jelly in your face cream, bees play an important role in how people live their lives. Bees are smart and able to learn and remember things. They make complex calculations about distance and foraging, and their honeycombs are considered one of the most practical, efficient structures in nature. They communicate with one another through smell and dance. A colony houses 20,000 to 60,000 honey bees and one queen, who lays up to 2,500 eggs per day. Honey bees will travel up to three miles from the colony to gather nectar, visiting between 50 and 100 flowers per trip and as many as 2,000 flowers a day. 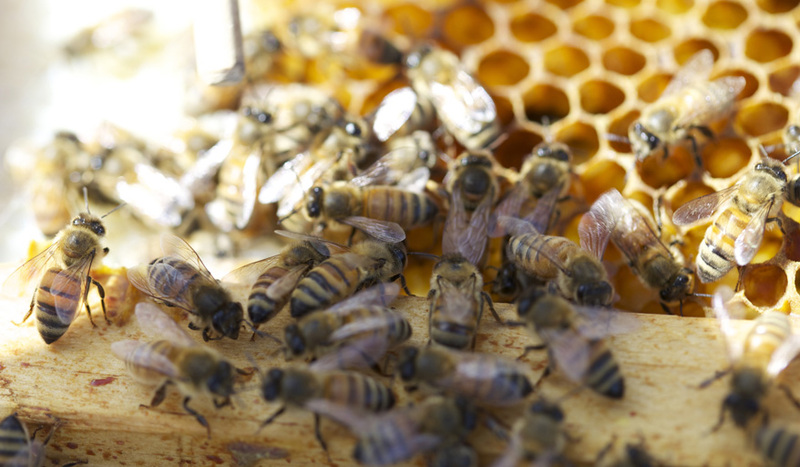 The average worker bee produces about 1/12 teaspoon of honey in her six-week lifetime. To make one pound of honey, around 2 million flowers must be visited. Americans consume roughly 285 million pounds of honey each year. Honey contains enzymes, vitamins, and minerals. One of the most interesting bee facts we’ve learned is that honey is one of very few foods containing pinocembrin. This compound is an antioxidant associated with improved brain function. Who knew?! Honey isn’t the only important product that bees create! Propolis may help with the healing process—its effects on sores, skin infections, and certain viruses are in testing. Bee stings may also ease pain that is caused by rheumatoid arthritis. In recent years, scientists have documented an increase in mass bee die-offs. This troubling phenomenon may be due to increased pesticide use, rising crop prices that have led farmers to replace diverse planting with monoculture farming, and varroa mite, a parasite that has proven deadly to bees. Moreover, as the climate continues to change, blooming seasons and weather become unpredictable and dangerous for the bees. But, there’s always something you can do to help! A big way to help the bees is by planting a pollinator garden at your home. By creating a botanical sanctuary, you give the bees a place to eat while also beautifying your land. Another way to help the bees is by supporting local beekeepers. In buying their honey, you’re giving back directly to the farmers, so that they can continue to grow their hives.